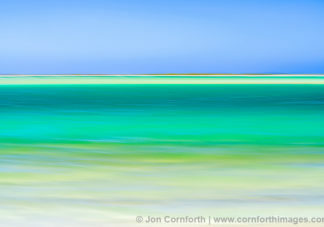 View Christmas Island (Kiritimati) photos, license Christmas Island (Kiritimati) stock pictures, and buy stunning Christmas Island (Kiritimati) prints by award winning professional photographer Jon Cornforth. To license an image for editorial or commercial use, click on the License Image button and fill out the form. To purchase a fine art print, select your image size and presentation style before clicking on the Buy Print button. Christmas Island is part of the Line islands, located on the equator in the Pacific Ocean. However, it’s not actually an island. Rather, this area is an atoll—a ring-shaped landmass formed by reefs. In fact, it’s the largest coral atoll in the world. At about 150 square miles, it contains not only land, but also an equally massive lagoon. Governmentally, this atoll is part of the the Republic of Kiribati. This nation includes 33 Pacific atolls and islands. Of this, however, Kiritimati makes up over 70% of the land area. Some may not realize that the name “Kiritimati” is a respelling of the English word “Christmas.” In the Kiribati language, the combination ti is pronounced s, and the name is thus pronounced /kəˈrɪsməs/. Because of it’s location on the equator, this island is dry and hot at all times of the year. Fly fishermen come here seeking bonefish, and divers arrive ready to explore the reefs. Christmas Island features miles of waterways. Best seen from above, the bright blue and green water creates a latticework of reefs.